Over the years we have developed an extensive knowledge of PCB manufacturing techniques; building Analogue, Digital, RF and mixed technology products; from prototypes to volume production. With automated surface mount and conventional assembly capabilities, state-of-the-art software and advanced tools; our highly trained workforce takes great pride in producing high quality products each and every time. 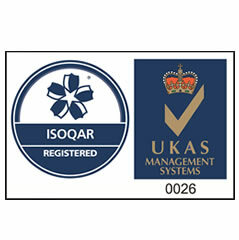 Specialist manufacturing software with barcode technology is used throughout the manufacturing process; this allows traceability to component level. 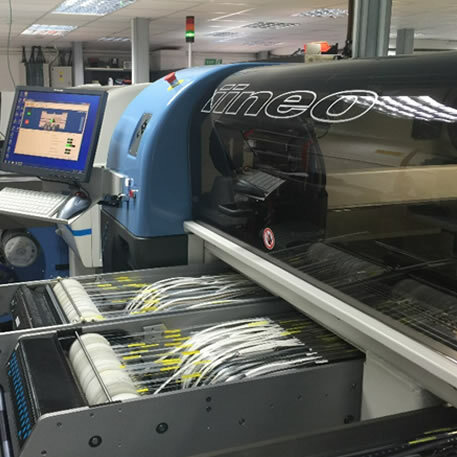 Precision is paramount and so to advance our production facilities, and in response to market demand, we have invested in state-of-the-art software and machinery. 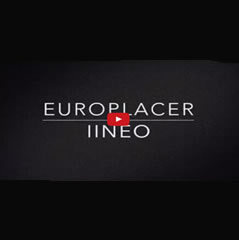 A Europlacer Iineo pick and place machine and a TSM A70J82S Reflow oven with the latest Automatic Profiling System. These are new additions to our range of machines which enhance our ability to place SMD fine pitch, BGA, 0201 sized components and other leadless devices. Using sophisticated assembly techniques and advanced tools our skilled and highly trained workforce can populate and hand solder low and medium volume boards; for higher volume production we are equipped with the latest wave soldering machinery. Cleaning of assembled boards is carried out using our new ultrasonic cleaning system. Our experienced inspection team makes use of the latest automatic inspection techniques in maintaining outstanding quality control methods within our SMT and conventional production departments. We also provide rework and modification services, X-ray inspection, full board testing (ATE, flying probe & functional).